A man suddenly wakes up discovering he's in free fall. He wildly searches for a ripcord, but just as he's a little to close the the ground the chute quickly opens as he goes crashing through the thick vegetation knocking the breath from him as he hits the ground. He awakens gasping for air to find him self heavily armed and facing another person holding a weapon at him. They both dive as another shooter opens fire with a machine gun. The first man circles around asking him to stop. They all realize the last thing they remember was a bright light then suddenly they were falling out of the sky. In all there are eight who have fallen, seven have weapons, the last says he's a doctor. As they search for who or what brought them to this circumstance, the first man (Adrian Brody) quickly surmises they are all killers in some way. Mercenaries, a convicts, Yakuza, and death squad members. Except for the doctor (Topher Grace) they are all armed with guns and knives. Brody's character refuses to give his name or forge any bonds with the others. He believes he's better off on his own, and if they others want to follow they can. The others are like the red uniform guys on Star Trek. It's just a matter of how and when they meed their demise. They run into traps set by an earlier stranded person and they are set upon by freakish hound type creatures. Brody proposes that they are on a safari planet and they are being hunted. When they get a full view of the sky filled with planets not seen if they were on earth they realize that they aren't in Kansas anymore. They best way to battle their opposition would be to take the battle to them. So they follow the dog tracks back to the grisly campground of the hunters. Brody senses that the Israeli Defense Force sniper, Isabelle (Alice Braga), and the only woman in the group has personal knowledge of the creatures. They soon encounter Noland (Laurence Fishburne), a long time transplant to the planet who has managed to avoid being killed. He gives them a few hints on what they are dealing with, but he's also a little nuts and tries to trap and kill them. Alpha dog Brody believes they only way to survive is to get off the planet. If the predators landed here, then there must be a ship to take them off. In 1994 Robert Rodriguez had been asked to refresh the Predator franchise. He managed to create a location and seed the ideas for the characters. 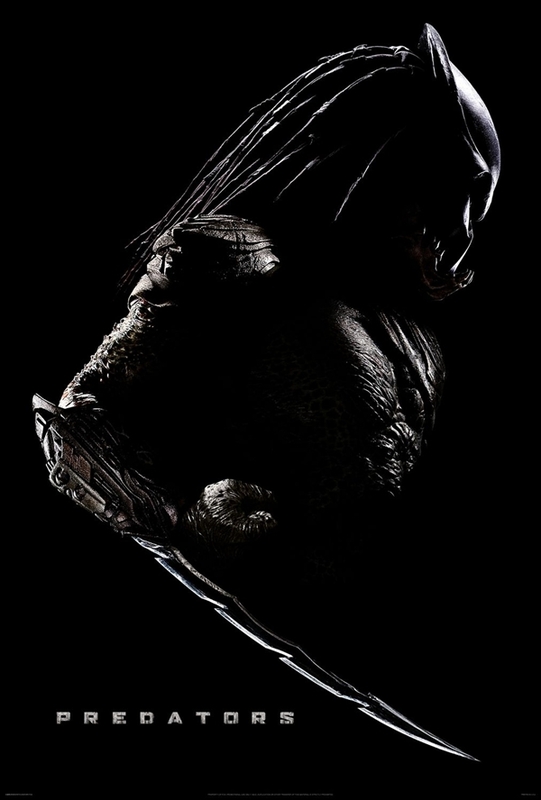 Using his template Alex Litvak and Michael Finch created the screenplay that should be considered the sequel to the first movie not the 1990 Predator 2 which most people would like to forget. Due to his slate of projects, Rodriquez stayed on as a producer and handed the directing reins to Nimrod Natal (Armored). Filmed in Texas and Hawaii it manages to convey an otherworldly feel. The ill-fated group creep around jungle all steel eyed with no sense of wonder. The tense predicament is nicely played by the ethnically diverse cast. Fishburne is ever so slightly off kilter and made me smile when he's on screen. Brody shows off the chiseled bod like Schwarzenegger but not. The action like the first movie involves picking everyone off one at a time with a little twist at the end. It also opens up the story for follow up which will have fangirls and boys hoping for more.